Our clients don’t just come to us in search of a workout buddy. They want what’s in our heads. They want all the knowledge, years of education and the value of experience we possess. They’re looking for more effective ways to burn calories and drop excess fat. They’re on a quest to find healthy recipes that taste better than the “cardboard-crust” homemade vegan pizzas they’ve been making. They want your enthusiasm and intelligence to rub off on them, making it easier to lead a healthy lifestyle. You’re their fearless fitness leader, set upon this Earth to inspire. 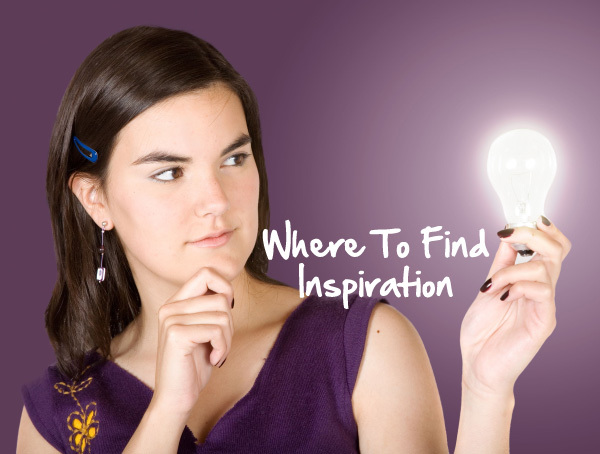 But where do YOU yourself find inspiration and new personal trainer marketing ideas? A huge part of your marketing agenda will involve creating content – tons and tons of content! You’ll be putting out blogs, articles, newsletters, press releases, web pages, social media posts, text messages, YouTube videos, and e-books – in mass quantities… that is, if you want to be successful. So it can be a challenge to find fresh personal trainer marketing ideas to keep your audience perpetually captivated. After a while, you probably feel like you’re just rehashing the same ideas again and again. I liken it to the “brain freeze” you get after sucking back a 7-Eleven Slurpee way too fast. It’s important to remember that the best source for content is right in front of you: your friends, family, prospects, clients, and even strangers. Every day, you interact with dozens of people – whether it’s by phone, the internet, or in conversation. Many of my best personal trainer marketing ideas have dawned on me just by being vigilant. For instance, I’ll be training a client and he’ll mention a marathon he’s planning to run. Suddenly, I’m thinking about how I can sign up my boot camp clients as a team to win us some free publicity. My client wonders how he should be fueling himself to stay perfectly fueled for the race – and now I have an idea for a blog post, an article, a newsletter segment. I always take notes on the phone and jot down ideas into my smartphone. I attend every possible networking event I can. These synergistic playgrounds are tremendous sources for personal trainer marketing ideas. Inspiration can come in the form of a keyword, a question or an observation. There’s really no experience like being the dumbest person in a room full of giants! It’s very humbling. I mean, I’m a multi-millionaire and I’m STILL finding rooms full of Warren Buffets, Bill Gates and Donald Trumps that make me look like a chump! I love it, though. Simply being in the presence of other smart, creative, passionate, successful people creates the perfect atmosphere for inspiration. If any of these guys are selling books, BUY them. READ them. Never stop reading! Sign up for other trainers’ newsletters and consider how you can adapt and embellish upon their concepts to make it your own. The Internet has made it so easy for us to stay connected with our base. What better way to find out personal trainer marketing ideas than to go right to your target audience and ask them what they’d like to read? I read every single blog comment and save the best ones in a special file to refer to when I need inspiration. We’ve had so many great discussions over the years. Surveys are another amazing way to solicit feedback if you’ve got a community of lurkers who read, but aren’t keen on commenting. I send out surveys several times a year to gauge public opinion and find out what topics or questions interest my audience the most. I pay special attention to my long-time clients and “influencers.” Remember, 80 percent of your business will come from 20 percent of your people… so listen very, very carefully to what these individuals are looking for. Consistency is crucial. You need to make it a habit to always have this nagging need for personal trainer marketing ideas in the back of your mind. You must always be growing and building your file. You can never ever have enough content! That being said, it’s okay to repurpose some of your best ideas into different mediums. The people who are interacting with you on Facebook are not necessarily the same people opting into your promotions by text, and the same people signing up for email promos are not necessarily the same people who faithfully read your blog every day. Avoid trying to file everything away in your memory. Our minds are so fallible. Instead, you need to be habitually committed to cutting and pasting, jotting down notes, and filing papers into a folder to collect your thoughts immediately as they arise. When you get into this train of thought, you’ll begin finding personal trainer marketing ideas everywhere; it’s amazing. It can also help you to become more habitual in the way you write content. Instead of trying to squeeze it in whenever, try writing at the same time every day. If you’re a morning person, get it out of the way first thing. If you’re a night owl, set an hour each evening after your workout to create a blog or article. If you’re too busy to do the writing yourself, then forward your content suggestions to a writer and have him or her do the heavy-lifting for you. To be successful in the fitness industry, you not only need to amass a tremendous glut of personal trainer marketing ideas, but you must be consistently producing loads and loads of content. Keeping the lines of communication open with your clients will make you stand-out from other club owners that are “too busy” to respond directly. A recent study conducted by Socialbakers found that brands ignore 70 percent of their Facebook fans. Just a third of all posts receive any kind of response, which presents a huge missed opportunity for companies to build relationships with their followers. In this business, people will choose your studio because they LIKE YOU, more than anything else. So use your day-to-day interactions with people for personal trainer marketing ideas to make your content stand-out and your business prosper.